When it comes to diabetes, there can be many things to remember. This includes the eyes! If you are diabetic, you may have heard of diabetic retinopathy. Keep reading to find out 8 things you need to remember about diabetic retinopathy! Diabetes, both Types 1 and 2, affects blood sugar and insulin levels in diabetic patients. But the effects of diabetes is more far-reaching than blood sugar and insulin levels. Vision problems for diabetics like diabetic retinopathy are common factors associated with both. There are many eye conditions that can affect people with diabetes. When you’re diabetic, eye conditions can affect the retina, lens, macula, and the eye’s optic nerve. These conditions include cataract development, glaucoma, diabetic retinopathy, and diabetic macular edema. Both cataracts and glaucoma are also common age-related conditions among the general population. They are not only limited to patients with diabetes. The risk factors for developing glaucoma or cataracts are higher for diabetics. When someone is a diabetic, it doubles their chances of developing either condition. Diabetic patients also tend to develop cataracts earlier than those without diabetes. Diabetic retinopathy is the most common cause of blindness for patients with diabetes. The condition involves changes to the retinal blood vessels, resulting in bleeding. For those that are diabetic, blindness or severe vision loss is a serious concern. This includes cataract development, retinopathy, glaucoma, or macular edema. This is even more of a concern for diabetics who decide not to seek treatment. As diabetic retinopathy progresses it can progress into diabetic macular edema. The result is swelling of the macula, which is part of the retina. Macular edema is a concern because it can lead to further vision loss. When a diabetic manages their condition, it does them an immense amount of good. Even though you’re diabetic, it’s not a guarantee that you’ll develop diabetic retinopathy. 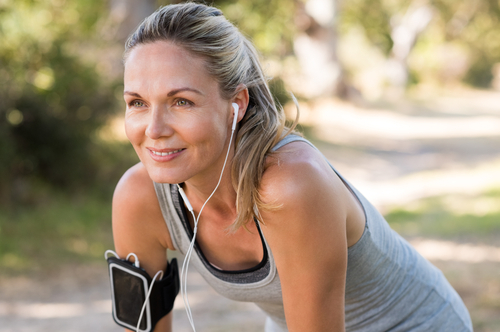 Staying healthy, exercising, and seeing your doctor can keep vision loss at bay. There’s no way to guarantee you won’t develop diabetic retinopathy but it’s less likely. Symptoms of early vision problems for diabetics may go unnoticed until vision loss. Due to the lack of symptoms in early vision problems, seeing your eye doctor regularly is a must! It is only by having comprehensive eye exams every year that your eyes can stay monitored. Your eye doctor may recommend coming in for appointments more frequently. This depends on how high your risk factors are for developing diabetic retinopathy. Early detection is the most important weapon for diabetics when minimizing vision loss. When eye problems are caught early, vision loss becomes avoidable. Afraid you may be at risk of developing diabetic retinopathy? Schedule an appointment at Stahl Eyecare Experts in the Long Island area today!